When buying a course or looking for tips, it’s easier for the provider if you know which version of Microsoft Office you’re using. This guide will show you how to identify this on either Windows or Mac. 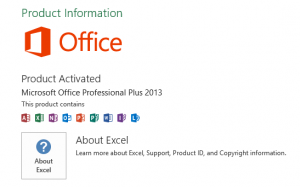 Open any of your Office applications (Word or Excel) and create a new document. Choose File in the top left corner, and then select either Account or Help from the list on the left. Under Product Information, you’ll see your Office product name and, in some cases, the full version number. 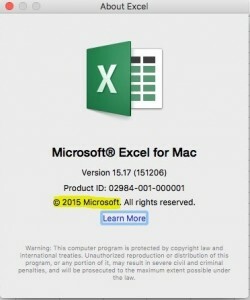 If the full version number doesn’t appear here, choose About Excel. A dialog box opens, showing the full version number and bit version (32- or 64-bit) at the top. 2 – Full version number, which starts with 15 for Office 2013 or 16 for Office 2016. Open any of your Office applications (E.g. Word or Excel) and create a new document. Go to the Excel menu and choose About Excel. In the dialog box that opens, the version number appears in the middle (Office for Mac 2016) or in the top left (Office for Mac 2011). Most people will blame the presentation, not the presenter, which is the first thing you can avoid: Pre-made slide templates. There are plenty of these templates that come with PowerPoint, with even more online, some for free and some for a price. The best thing you can do is to start with a blank presentation. Create your own presentation from scratch, personalise it and show off your style. A presentation that is adapted to the presenter is better than a presenter that adapts to a presentation. When listing a few items or objectives, many users might fall for the bullet point trap! During a presentation bullet points can take focus away from the presenter. However when you list each point one at a time with spaces and a row each it makes the point seem more clear and connected. This is improved more when you place the list next to an image or a graph that is meant to be the real focus. Thanks for reading and be sure to check us out on Twitter an Facebook! 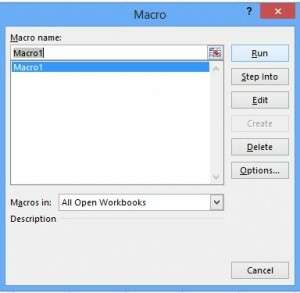 Give your macro a user friendly name. Always give your macros a user-friendly name, or agree a naming procedure for your Macros so that everyone knows what they are for. This may seem a bit like stating the obvious, but if your Macro is there to format a table, then give it a name that would summarize what it formats and keep it memorable and concise. Naming a Macro No.14 isn’t really going yourself or others any favors when debugging any problems. Add the shift button to any key short cuts. Always add the Shift button to any key shortcuts. A CTRL+Key shortcut will disable its MS predefined purpose, so If you add CTRL+C shortcut to your macro and run it, you will not be able to use that short key to copy text or cells. Use the description box to explain the Macro. Always use the description box to add as much info about the Macro as possible and dates when it was edited. This way you can always know what went wrong and when and by who, not to point blame but to understand what happened and minimize time spent on investigating the problem. Use comments when you write a code. Commenting can also be very handy when writing new code, recycling code or adding more details to your existing code to help others understand the purpose of your code. Adding a comment is fairly easy. Go to your line of code and add an apostrophe (‘) in front of it. Anything on that line will turn green indicating that VBA is not recognizing it as a line of code, but seeing it a comment or note. Always use commenting creatively to lines of code you are unsure of, as well as adding notes to your code for people to see what that block of code is meant to do. You could also use the apostrophe to debug the code if it is not working correctly or clashing with another line of coding. Or instead of deleting code, you can use commenting to leave the code where it is and come back to it at a later stage. If you want any other tips on Microsoft VBA then have a look at our other tips on Recycling Code and The Macro feature. Want more information on Visual Basic? Then look no further, check out our VBA Courses and VBA Hints and Tips. Recording Macros is brilliant! Especially if you are not sure on how to word something initially. If you can’t decide what to use in your code, try recording macros that similar to what you are trying to do and see what is entailed in the code. The obvious next step would be to remove any unwanted or redundant code. The first step is record a Macro. 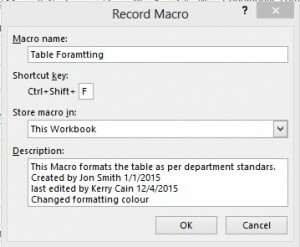 The best way to do this is click the Record Macro Button which is found on the Status Bar (the green bar at the bottom of your excel sheet). Then, the Record Macro Dialogue box appears. Be sure to fill out the Name and Description boxes with as much details as you can to future proof your Macro, as per below. Click OK. Now you will have to format the table as you would normally in Excel. 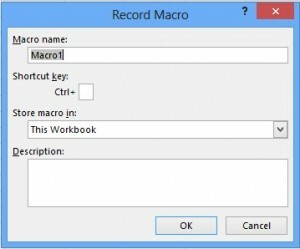 Excel will record your steps as a Macro. Click the Record Macro button again to stop recording. Next would be to view the Macros. To do this, Find the View Tab on the Ribbon, go to the Macro command group, and select View Macros. Click on the Edit button and this will bring up your Macro in Visual Basic. If you look at the screen grab below, you will see a simple Macro for selecting a range of cells and formatting it with bold, italic and adding a background colour. This should now give you an idea of the sentencing required to create a macro that grabs a group cells, formats it and adds background colour. Now all you have to do is use your VB know how and adapt the code to something more practical and universal that applies to all cells. Just remember to remove any redundant lines (for example .tintandShade = 0 isn’t needed so you can delete it). Once your happy with your Macro, then add the code you think will work best (like looping or IF statements). By using this simple way of recording Macros and then editing them to your needs you can save yourself a huge amount of time writing code from scratch. If found this hint and tip useful, you can always check out our Recycle Code tip for more ideas. 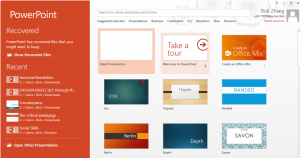 For more hints and tips on other Microsoft Office applications sign up to our Mailing List. Outlook is a great tool for not just sending and receiving emails, but for also incorporating your day-to-day happenings in the office. 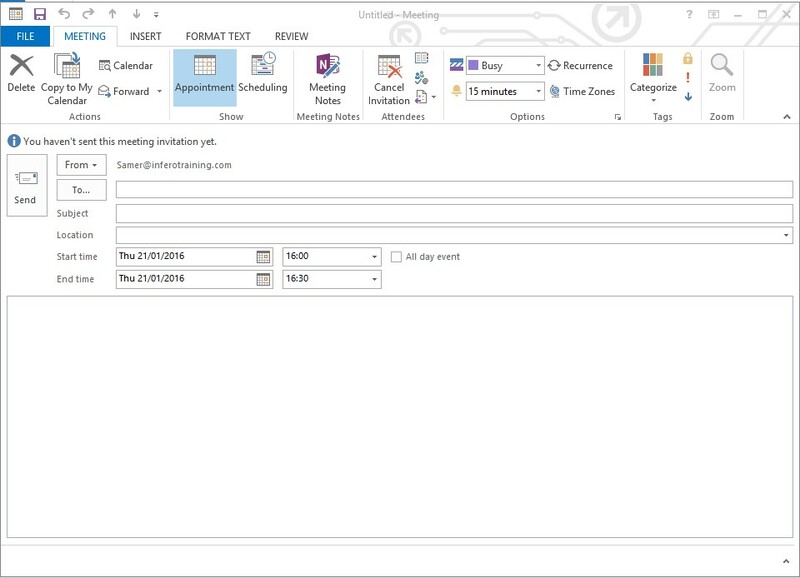 Calendar tools can help with setting meetings, appointments and plan your day. 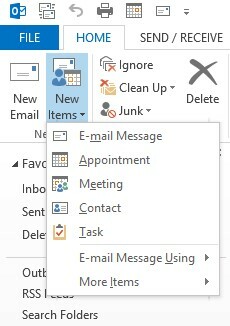 To set up a meeting in Outlook, go to the Home tab on the Ribbon, select New Items and then select Meeting. Once you do that, you will get the New Meeting Dialogue Box. It is easy to invite people to a meeting by using the ‘To‘ box and adding a subject in the ‘Subject Box’. You can also schedule a time and date by adding them into the ‘Start/End Time’ box as shown in the picture above. 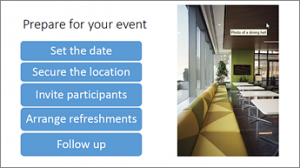 It is also possible to schedule a meeting for the entire day, simple click the ‘All Day Event‘ button. Fancy learning more about how Outlook can benefit your business? Then have a look at our Outlook courses. If you want to create a poster or letter document in Microsoft word, then it could be useful to use the Header option, to give your document a professional look. 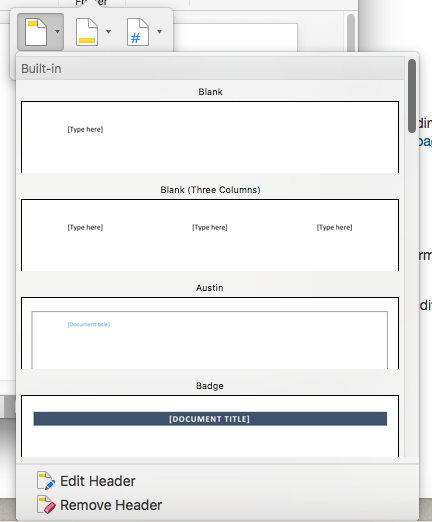 The header feature allows the user to add smart looking areas in the top, bottom and side margins of a document. Why is using a header or footer useful? well many online forums would suggest that when sending a document with a header, employers see a strong level of professionalism and that it shows that you have a good knowledge of using Microsoft word. To use this feature, simply click the Insert Tab, and then in the Header and Footer group, Select either a header of footer. From the Drop Down Menu below the Header option, Select which Design you would like. Once you have selected the Design Template then you can Customise it to how you like. To customise the header, select the Edit Header option shown at the bottom of the picture above. The customise steps are simple and easy to follow and it will give you the freedom to design exactly how you would like the header to look. See our other Microsoft Word Hints and Tips. Have you ever been sat in a lecture trying to write notes fast enough and listen to the speaker? Well maybe you didn’t know about this brilliant Recording Feature on Microsoft OneNote. OneNote offers an option to create Visual and Audio notes through a recording feature that is situated upon the Top Button Tab like shown below. This feature helps you to make quick notes on the go, just by simply recording in vocal mode. If you have a little more time then it could be useful to record in video mode, both visual and audio notes can be shared with your colleagues and contacts through OneDrive. All you have to do is click the recording icon and it will automatically start recording, however if you record in visual mode then you may have to accept permission to access the webcam. When you would like to stop recording, there is a large Stop button next to the icon. So, if your ever in a lecture and don’t want to loose any important facts or information then don’t forget to try out this recording feature. Yes, you read this title correctly. 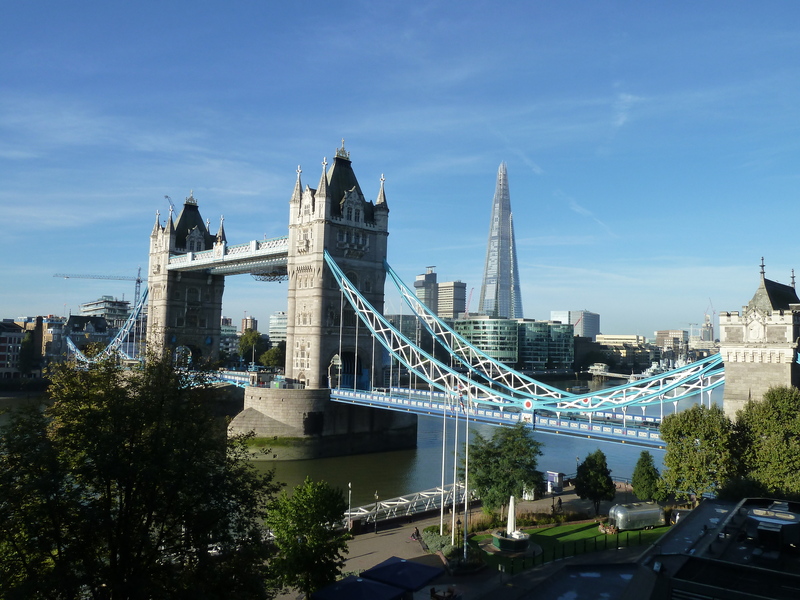 Here at Infero Training have branched out and we now deliver training in London. This now makes it our 8th location where we can deliver courses. Many customers within the south started asking if we could provide courses near London. With London being one of the leading global cities with many strengths, it was a prime location for many of our customers. With that in mind, we made the decision and here we are; new venue. We will be setting dates for courses in London soon, so keep an eye out. To not too many people’s knowledge, today is International Women’s Day (8th March). It is a day to celebrate equality and feminism for women, dating all the way back to 1912. It is an annually celebrated event that involves everyone across the globe to join in and support. Not only does this day reflect the past of the women who fought for women’s rights but it celebrates the achievements in today’s society. Across the globe, millions of women are celebrating equality and the history that accompanies it. Before the start of the First World War, women were forced to do jobs that men didn’t want to do and were paid a low wage for doing so. Most of the job roles required hard work, doing manual labouring jobs across long working days, since most men joined the army, most women became part of the homeland force. The homeland force turned women into factory workers that created equipment and weapons for the army. As well as working, they also had the job of providing for the family, taking care of children, and the household. Throughout this time women were not entitled to vote or have the right to be treated equally. Therefore an organisation named the ‘suffragettes’ decided to take action and stand up for women’s rights. They protested and organised demonstrations throughout the country, as well as challenging the law and the courts. If it wasn’t for these women, our lives and jobs today would be so different. However, even in today’s society some women still feel as if they cannot do some job roles, as they are mainly male orientated, especially in business and IT. We believe that all women and men are equal and should be praised for doing any job whilst being paid the same wage. Each year, more and more women are joining the IT industry and big companies are inspiring those women to pursue and continue a career in this sector. So if you have a dream to work within the IT industry, but don’t feel confident in doing so, then remember to always push yourself to achieve your goals and strive forward when doing so. Being a women is empowering and should never hold you back. Surely you noticed that people who really succeed in their career or life have a strong passion for what they do. From the ancient time we were fascinated by the great leaders – from Alexander the Great and Genghis Khan to Thomas Edison, Walt Disney, Steve Jobs, Bill Gates – just a few of those who has had the passion and achieved their vision. I am sure you personally know ‘passionate’ people around you. Passion is one of the competencies a great leader whether in professional career or personal life, and the first topic of discussion in our blog. All copyrights for image belong to Disney and George Lucas Film. All great achievements start with passion. Passion is an intense emotion that shapes the very core of who you are and the choices you make, whether your inspirations are coming from spiritual, intellectual, political, economic, social, or technological reasons. When you wake up in the morning and all you think about is the thing you want to create, then you are passionate about it. For a leader, passion is a key element; once they have this powerful feeling, they become unstoppable. And even when things turn bitter, and difficulties and challenges take over, this does not crush leaders because the love towards what they do takes over any negative emotions. This ‘fever’ lets them overcome any difficulties and move towards their ultimate goal. 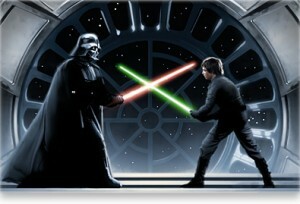 In Star Wars, passion is perhaps the most controversial subject between the Jedi and Sith. Sith believe that everything starts with passion – they embrace it, and their Code sums this up in the following verse. “Peace is a lie. There is only passion. Jedi on the other side do not believe in passion. Here is what they think of it. It seems like that fundamentally if you have a passion for something then you turn to the Dark side. Sorry the creators of the worlds of Star Wars – I do not agree. I could never understand the dilemma in the most culminating moment in the 1st Star Wars Trilogy – the battle between Luke and his father the Darth Vader. I could never understand why he could not fight back, as he believed that fighting back will make him turn to the Dark side and become like his father. It feels that Luke was driven by fear of not becoming the ‘baddy’. What about fighting in the name of love and friendship – to save his sister, to save his friends from an imminent death? Perhaps humans are more complex than Siths or Jedis. Perhaps we can embrace both sides. Mother Theresa was a passionate woman whose passion was to help those less fortunate, and she certainly did not turn to the Dark side. So as Gandhi, who practiced nonviolence whilst fighting for independent India. And that does not include only missionaries or political figures but also entrepreneurs. By 2013 Bill Gates donated $28 billion of this fortune to his charity to fight poverty and improve healthcare, and continues his donations. In our human world if you want to achieve the great, you certainly need some passion. What are you passionate about? Let me know your thoughts in the comment section below.